"Once again we went back to West Beach Recordings with Brett [of Bad Religion]. This record took 12 days. For some reason we were playing a lot of chess during the recording. I swear every 20 minutes me and Brett would play a game of speed chess, and then mix another song. This record was important. 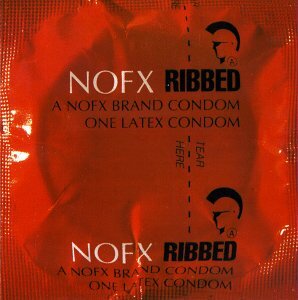 It was the first NOFX record that people actually liked. I think we finally got our sound. We took a little Bad Religion, DI, RKL, and came up with the NOFX sound. Now when we went on tour, people showed up and enjoyed themselves. It was weird. No one really liked us very much before. So right when we started getting popular, our guitarist Steve quit to join a rock band. Oh well, that's when we got El Hefe. This record sold 8000 copies the first year. That was a lot. Flipside liked this one."